Every flight is with the owner/chief pilot who has over 27 years ballooning experience on 3 continents. 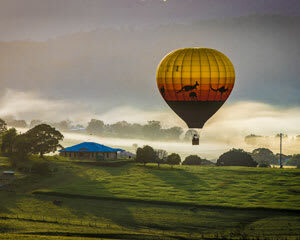 The Greater Brisbane, Ipswich, Scenic Rim & Somerset region in South East Queensland is the ultimate place to experience the magic and adventure of hot air ballooning. After a meet & greet with your pilot, it’s time for a final weather check before you’re taken to the launch site. If you like, you can participate with the inflation of the hot air balloon for flight. Once the balloon is inflated, the hot air balloon will lift off for your one hour balloon flight. Floating majestically and effortlessly as the world slowly awakens, your balloon flight will float gracefully over the city and country in one flight. Upon landing, you may become involved in assisting the crew in packing up the hot air balloon or taking photographs. The icing on the cake is a sumptuous sit down restaurant breakfast, including a full hot breakfast spread with all the trimmings. A commemorative flight certificate will be presented to each passenger to conclude the morning’s activity. Your ballooning experiences lasts approximately 3 to 4 hours. You’ll experience breathtaking views of the city of Ipswich and its classic Queenslanders, heritage buildings and homes, Flinders Peak, Mt. Walker, the Great Dividing ranges, McPherson Ranges, Mt. Tamborine, Moreton Bay, the skyline of Brisbane, Mount Coot-tha, DAguilar Range, Wivenhoe Dam, the Brisbane, Fassifern and Lockyer Valleys and the Brisbane and Bremer Rivers. The spectacular sunrise flights over Brisbane region begin at our meeting place in Ipswich 15 minutes before dawn, usually between 4:30 AM and 6:00 AM depending on the time of year. Take off is just after daybreak when the air is mild and still. The launch site varies depending on wind conditions. The basket can carry between 10-12 passengers, pricing is per person. I am scared of heights thou the basket made me feel so safe bs the instructions from Graeme was great. 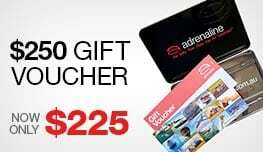 Would recommend to all the only problem I had was putting the gift vouchers into the booking online system after putting all my vouchers in I had to redo them again under another heading. Great flight and nice breakfast. Very professional operator of the hot air balloon, very much enjoyed the experience. I would recommend "Floating Images" to everyone. Graham was very professional, great knowledge. The whole experience was really great, well worth the expense. One to tick off the "Bucket List". The whole adventure was very good. My husband and I appreciated Graham's superb knowledge of the area we were ballooning over, and the humorous stories he shared with our group. Thank you, Graham. 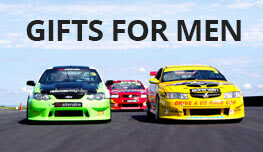 Graeme was fantastic he was so helpful and courteous the whole time and it was a great experience because of him. We will definitely recommend him to anyone. Thank you again.